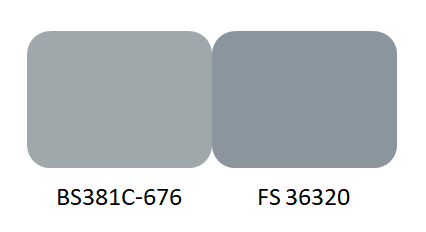 381-640 extra dark sea gray. work a treat I also have a pussers tin of each HMS Illustrious, which is where I got the BSI numbers. I have done the same. Just remember to specify matt or satin finish, otherwise you may end up slightly too glossy. Deck grey, anything from Humbrol 67 Tank Grey through to 27 Sea Grey, not forgetting 62 Leather for all the rust......much weathering is soon evident on the decks. Listen politely, nod approvingly, then do what you want, works for me! Having built 3 Type 42's 2 in 1/96 and one in 1/72 I find that Humbrol M27 for the Decks and M64 for the superstructure will do your needs just right. Jack. 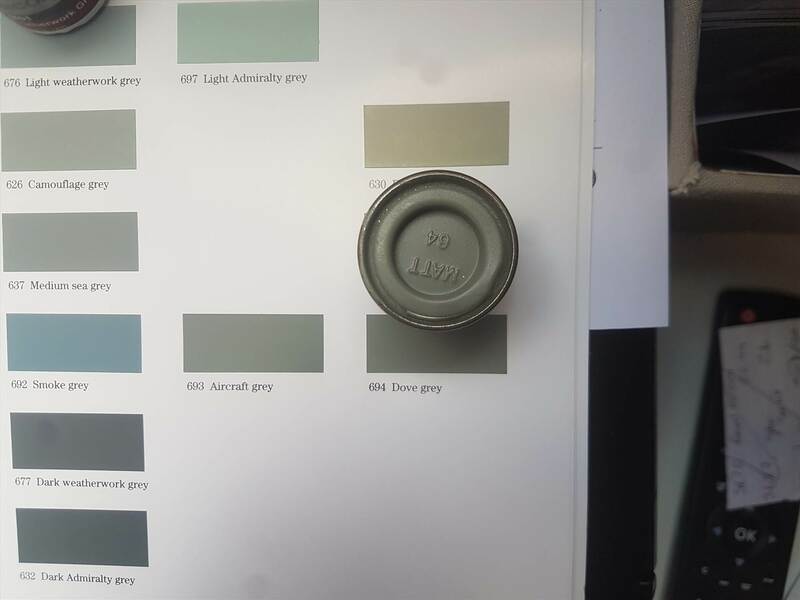 Humbrol 64 is much closer to BS381C-694 Dove Grey and is not similar to BS381C-676 Light Weatherworks Grey. Humbrol 64 is much yellower than Light Weatherworks Grey. 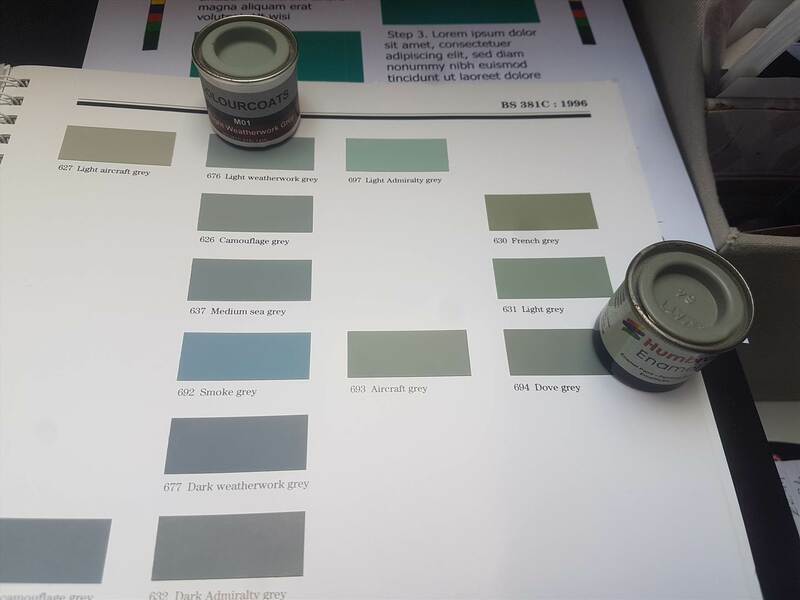 Your friendly local specialist automotive paint supplier should be able to supply alternative paint types for your use. I use these guys, very good..
Best option would be to talk to your local supplier and explain your needs, such as thinning down for use through an airbrush rather than a professional spray gun, brush on options, plus of course, the odd can of aerosol as shown in the link. I got an enamel based paint, although I don't think it was described as such. Certainly thinned down with the same thinners I use on Humbrol enamels. Straight out of the pot, it was thick enough to fill micro air bubbles in the resin castings! Try dropping colorcoats a line, Jamie has started producing some paint in 125mls tins.